This advanced prenatal course offers a comprehensive guide to all aspects of prenatal, labor and postpartum care. Through the course text and DVD by Elaine Stillerman, LMT, a detailed review of the anatomy and physiology of childbirth is provided as well as common complaints and serious health conditions that often present during gestation and childbirth. Massage therapists benefit from a complete understanding of the dynamic and miraculous changes the pregnant client's body goes through as she progresses in her pregnancy. In addition to detailed positioning and draping methods, this course discusses Swedish massage and acupressure points, myofascial release, lymphatic drainage and reflexology that can assist you in working with the pregnant client. The historical relevance of prenatal massage and childbirth practices. How miscarriages occur and their causes. Stresses on mother and unborn child and how massage therapy can reduce those stresses for both mother and fetus and beneficial physiological effects of prenatal massage in reducing pain. Comfortable and safe positioning for the pregnant client during each trimester as well as proper draping. The differences between working with non-pregnant and pregnant clients - set-up of treatment room, practitioner body mechanics, time allocation per treatment, safe use of essential oils and massage oils, additional supplies needed for a prenatal practice. Signs and significance of spousal abuse or domestic violence during pregnancy. Stages of fetal development and the physiological adaptations during pregnancy to the musculoskeletal system, including the core muscles, the cardiovascular system which supports the maternal metabolism, and the respiratory, gastrointestinal, urinary, reproductive, endocrine, neurological and integumentary systems. Assessments for the symptoms of thromboembolism, preeclampsia, and other pregnancy related conditions. Contraindications of acupressure and reflex points. Factors contributing to low-, moderate-, and high-risk pregnancies and how that impacts massage therapy treatments. Protocols relating to treatment of clients confined to bed rest. Pysicolocial changes to mother and fetus during the three trimesters as well as common complaints and massage therapy considerations by trimester. Bodywork techniques for the common discomforts of pregnancy: backaches, breast soreness, headaches, leg cramps, sciatica, symphysis pubis separation, abdominal pressure, constipation, esophageal reflux, fatigue, heartburn, hemorrhoids, insomnia, morning sickness and varicose veins. Techniques to start or speed up a prolonged labor. Appropriate massage therapy techniques to be used during each stage of labor. The dynamic physiological processes that occur after labor; within the first few hours, within days, and within weeks of postpartum recovery. Massage techniques that are appropriate during each stage of the postpartum recovery time period. The grief and bereavement process of women who suffered miscarriages or stillbirths. Examples of effective marketing techniques to use in building a prenatal massage practice. As a birth doula of 15 years I was very impressed with the comprehensive information about labor, birth, and immediate postpartum. I also appreciate that Postpartum Depression was discussed and allows massage therapist taking this course to be aware of this potential in their clients. Wonderful course! Very interesting material! I've been studying for my birth education and doula certifications so this course material really enhanced my knowledge of the entire birth process. Thank you for the opportunity to learn all this material on my own time! This was an outstanding course. I was able to refer to (and feel confident about) this material right away as I’m allowing more pregnant women in my practice. The presentation was truly excellent. While I still remain respectful of this particular scope of practice I’m much more confident to really help and treat these women during this special and trying time. The book was very informative and easy to read. I enjoyed the layout of the content and was impressed by the vast amount of information that was given in each chapter. This book is a great resource and full of wonderful information on pregnancy and massage. Super!!! I will be referring to it again and again. I found [the course] very informative and thorough. I appreciate the video demonstrating the proper draping, alignment, stance and stroke for the desired results. This course information would be very instrumental combined with a Lamaze or Natural Childbirth class. This course was very informative and I definitely learned a great deal. I attended a pregnancy and post-partum massage therapy workshop in 2007, which included both lecture and hands on work. However, the documentation for this prenatal massage course is far superior and is a wonderful reference to have for the future. This course was highly informative and very thorough. It has greatly enhanced my knowledge of prenatal care as well as the safety practices regarding it. Thank you very much for the in-depth and detailed material! Best course I've taken so far. The book is very helpful and informidable! Probably the best course I have ever taken! I learned more from this textbook in the first two chapters than my entire time in school. Course was interesting and very engaging. Study materials were very conducive to learning with an extremely detailed index and glossary to move freely back and forth and reference what I had just learned. Illustrations made concepts easy to understand and integrate. I found the course very interesting. I learned new information about prenatal massage. There was a lot of repetition in the chapters, which can be good to retention but a lot of reading! Definitely print the test out first and use that as a study guide. I learned so much to help in prenatal especially with contraindications! I found this course very useful and am hoping to grow my practice to include pre- and postnatal massage. There is a lot of valuable information in the text but I wish there were more in-depth videos explaining the techniques. The online videos were not as well organized as I would have hoped. In the text, there were times when it referenced the DVD but I couldn't find a corresponding video online. But overall this was very helpful and clear. Highly informative and professional material. I found the course educational and very interesting. This was SUPER HARD! WOW! This Advance Prenatal gave me more insight than my Douala training that cost way more. Now I feel complete and confident that I have what it takes to be a mother and child/children service provider. loved this course, happy to own this great book and reference! This course was extremely detailed, much more so than is necessary in my opinion for a massage therapist. I am also a Douala, so I appreciated the in depth science behind each stage of pregnancy. Understanding the amount of cervical dilation correlated with effacement is way beyond what is needed to provide educated quality massage therapy to a client. One example, a massage therapist is not going to check a cervix under any circumstance. 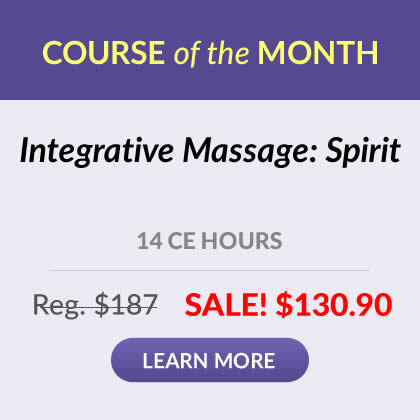 The description for this class could be more focused on the content which is in advanced knowledge of pregnancy, labor, and birth which includes massage techniques to care for the pregnant client during each stage. This course was amazing! Very clear, detailed and easy to follow. I finally have appropriate knowledge on this subject and not outdated misconceptions. The last time I learned about prenatal massage was 21 years ago in school. I definitely will recommend this course to others who may be interested. This course was very enlightening! Itâ€™s everything you could possibly want to know about massage and pregnancy. The DVD was great too! The textbook had great information in it and I loved all of the different charts and diagrams. The video was a little lacking. I would have liked to see a bit more demonstration of the massage information that was provided in the book. Otherwise, I feel like I learned an adequate amount for the time spent. Though there were aspects of the course that weren't as interesting/useful to me (labor support massage, for example) and some chapters that were hard to get through (all the physiology chapters! They always drain me) the chapters relating to all the trimesters of pregnancy and massage techniques to support women throughout this time were amazing. They were so thorough and far exceeded my expectations, even delving into techniques and teaching instructions for the clients that I wasn't sure I'd ever have time for (I work mostly in a day spa, with a small private practice on the side). But overall, so helpful and so much more advanced than the 2 other courses I have taken from the Institute relating to pregnancy massage. This book was exceptional! I deeply respect and appreciate the knowledge of the author. I love that she extracts from many healing traditions, giving pregnancy massage a much more holistic perspective, and less about one kind of "technique" for everyone. Will definitely be using this as a reference for clients and also for personal use throughout my first pregnancy. Thank you!!! I feel vocational learning could be presented more directly; the book repeated itself often and some of the test questions were indirect or not specific enough for me. This is a thorough tool for learning the dynamics of prenatal, birth and postpartum stages. I found this course to be highly informative. I also really enjoyed the instructor and the textbook. This course was excellent. 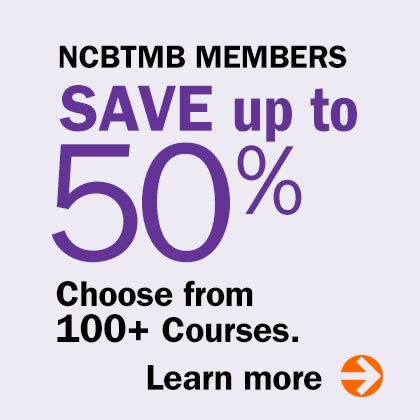 I've taken several courses from this site, and this one was one of the best. This course was so easy to work into my busy life. I will definitely complete more courses from the Institute! I got lots of knowledge about pregnancy with this course. I need to take some time and learn the techniques. I've been practicing massage for 10 years now. I like to stay up to date with things. Great course! Tons of information. The video was a great addition to the course. Enjoyed it! It was a very informative course. I enjoyed it very much.